I'm constantly scouring the internet for new music and most of the time I'm not pleased. This was until I stumbled upon Dre Carlan. Dre Carlan is the vocalist and guitarist of this project. Using nothing but his guitar, Carlan makes indie acoustic songs that are comparable to those of Lydia or Copeland. Although these songs are calm and easy on the ears, you can't help but notice the emotion in the songs. The emotion over powers the melodic voice of Carlan and his guitar. .DC 1 is the first release from him, which consists of 3 original songs and a cover of At the Drive In's Cosmonaut. Throughout this year, Carlan is aiming to release a steady flow of EPs, covering different sounds on each one. 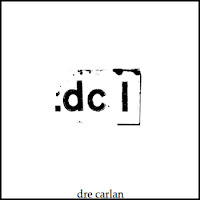 Download .DC 1 on Dre Carlan's bandcamp.